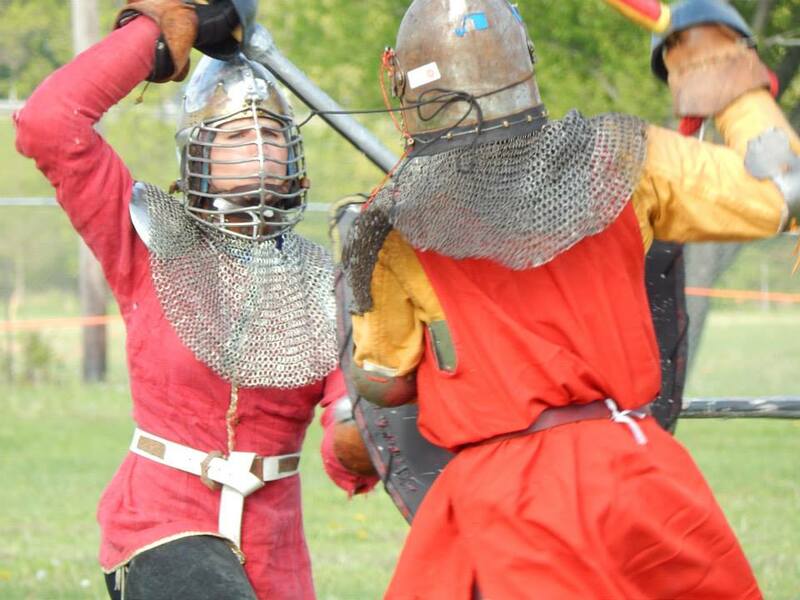 Sir Ariella vs. THLord Rouland at the Gage Meet ‘n’ Beat, War Practice 2015. Photo by Lady Valentina de la Volpe. The Chivalry of Æthelmearc invite you to join us for a regional fighting practice in the Shire of Hunter’s Home on Sunday afternoon after Thanksgiving, November 26, from 1 to 5 p.m. The site has indoor and outdoor fighting space, including room for long weapons. It is not far from I-79 at 1898 Grant Street, Utica, PA 16362. Please drop armor at the site and then park at the Fire hall at Grant and Academy Streets one block away. Sir Arnthor lives nearby and is available for questions about the site or directions. For questions or suggestions, please contact Sir Ariella by email or on Facebook (Cara McCandless) or Sir Arnthor.